Our White Chocolate Bark is truly unique. 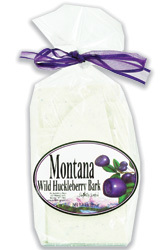 A little bit of wild huckleberry mixed with the finest white chocolate for a melt in your mouth ~ I wish I had more experience. Available in 20 flavors. NEW MAPLE FLAVOR.